Oslo, 25 April 2016 – Marlink, the global business critical communication solutions specialist previously operating as Airbus Defence and Space, has unveiled a brand-new satcom service for VSAT (Very Small Aperture Terminal) users in the land segment called Terralink Premium Flex. 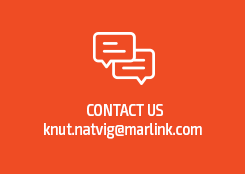 The service enables Marlink customers to increase their bandwidth on-demand on their VSAT connectivity service, enabling them to more cost-effectively meet temporary demands for higher data rates. Utilising sophisticated Bandwidth on Demand (BOD) technology, Terralink Premium Flex unlocks new opportunities to select the best data rate plan. Instead of choosing a plan to accommodate the most data-hungry applications 24/7, customers can choose a package adapted to daily routines and simple provision of the extra bandwidth as and when it’s needed. Once the higher bandwidth period is over, customers are automatically reverted back to their standard data rate. Consequently, Terralink Premium Flex eliminates the common scenario of paying for satellite bandwidth that remains unused. With Terralink Premium Flex, higher bandwidth needs are met quickly and efficiently e.g. for applications such as video conferencing, surveillance, business continuity and emergencies, i.e. telemedicine. It delivers the best of both worlds: lower communication costs with high-end capabilities at the click of a button. The launch of BOD capability represents a significant step forward for the Terralink service portfolio, which offers fixed and mobile broadband solutions for customers in diverse segments including energy & utilities, humanitarian activities and the media. Marlink provides 24/7 global support and assistance for its Terralink customers operating around the world, often in remote locations without terrestrial communication networks. Dedicated support teams and technology, end-to end service management and SLA packages including i.e. proactive network monitoring are designed to make sure that a customer’s connectivity and voice services are always available.